Let’s go back to the beginning when I landed my very first student loan consulting client. I’ve been very fortunate to have Elaina as a friend over the years and helping her with her veterinarian student loans is where it all began. We met on a grouper date when a bunch of us got together and hung out. I actually was just helping out as a friend and didn’t take any sort of payment until I finally caved when she forced me to take some compensation. Going through veterinary school, her student loan debt quickly piled up, but I was able to help guide her to the correct repayment methods for her situation. Private schools or public schools? Which is “better” for professional degrees in terms of student loan debt? How many different vet schools did Elaina apply for? Working with someone you know and someone you don’t. (Travis as her SL advisor). If Elaina had a chance to look for and start a practice where would she look? What are the benefits of buying your own practice? Why don’t some veterinarians want to become business owners? What has been holding Elaina back from buying a practice? Retirement accounts experience – What and how much Elaina decided to invest in? New or used car? What’s a better investment? Elaina Petrone: Sometimes what holds us back is, or at least what holds me back is. How do I find a practice that I want to buy? Then do I have the skills to be able to evaluate it properly? You don’t want to end up paying someone more for something and I feel like a lot of it may be older veterinarian see a younger veterinarian coming in and you know I might not have the experience to evaluate it properly. Travis Hornsby: On today’s show I talked to my friend Elaina about the state of veterinary medicine and different things that veterinarians can do to increase their financial literacy have a secure financial future for their family and also fight back against the giant trend in veterinary medicine moving towards corporate medicine and corporate private practice groups so that veterinarians can take charge of their own futures and be their own bosses again. It’s gonna be an action packed episode. I cannot wait. Travis: You’re going to love I am welcome to the Student Loan Planner podcast. Travis: I have got my friend Elaina a veterinarian in New Jersey with us today. How are you doing Elaina? Elaina: I’m good. How are you? Travis: Good. And for folks who don’t know, Elaina is the first client in student loan planner history which is pretty cool. Yeah. Elaina how about you recount the story of how you were the first client and what happened? How did Travis and Elaina meet? Elaina: OK so one of my friends in vet school had asked me if I could go on this grouper date. It’s where a girl and a guy bring two friends with them on a date. So I was like Sure I’ll go. I think Travis you did the same. So that’s how we all met. Actually two of those people are getting married this year so I would say it was a success. I met you and we became really good friends. So throughout our friendship we started talking when I was explaining the I guess what I knew about my student debt which I thought I knew a lot but learned quickly that I didn’t know as much as I should. Travis basically offered he said well if you want I could make a spreadsheet and kind of compare those repayment options for you. I was like sure. Because even thinking about it kind of stressed me out and we really weren’t educated much on it. Elaina: You know you have to do this online thing that you have to sign saying you understand that you have to pay your loans back but they really don’t break anything down or explain it to you. In my opinion when you’re in vet school it’s a little late to be explaining this they should probably explain it when you get accepted. So yeah basically you made this huge spreadsheet that was totally overwhelming and you explained to me what the best options were. I thought that was really helpful. Then when I started my internship we kind of had like a checkup meeting. You told me that the what was originally the best option for me there was a new option and that I should be involved in that. And I think that’s probably what I told you that I wanted to start paying you for it because you were spending a lot of time helping me. And so I kind of had to force him to accept a very small amount of money but still to accept that and I think that’s how he became the first paying client. I know and luckily got me when I was cheap Elaina. How was it having a friend giving your student loan consult? Travis: I guess I felt like kind of awkward or something about charging. You know I mean also like just friends. I guess like if you can provide value for something and your friends are willing to pay for it that’s how you know you actually have like a real service that’s actually helpful. Elaina: Oh absolutely. If you had to pay someone from the outside to try to help you it would have been a lot more expensive. Also, that element of trust isn’t there. Like I always knew that when you were giving me advice it was completely honest and genuine it was truly about what was best for me. You know you weren’t making like some commission off of something you weren’t trying to sell me anything. You know you were just giving me advice on what you thought was best for me. So to me, that value is huge. When people don’t know about something they’re always worried about being taken advantage of. That’s why for me it makes sense. I trust you I know you’re gonna give me good advice, and so it’s more than worth the money. Was was Elaina’s inital repayment program? Travis: So what repayment program were you on initially and what and what do we have you switch to? How was the process for applying to vet schools? Travis: Let’s talk a little about that school. You know when you’re applying to vet school how many vet schools that you applied to. Elaina: I applied to 10 vet schools. Travis: Oh that’s a lot. Elaina: Yeah because I’m from Rhode Island. There is no in-state school and schools at a minimum have to take 50% of their seats for in-state residents. So if you’re applying out of state and you don’t have it in state school you’re at a disadvantage. But then there are some schools that because they’re private or it’s the opposite private schools can accept 50% out of state. But then if you’re not a private school then you some schools only take one or two people from out of state. So I had to cast the net wide and increase my chances. Travis: You think that Rhode Island and have some sort of treaty with somebody to welcome the refugees. Elaina: Yeah you would think so because Tufts University is in Massachusetts it’s 45 minutes away and they treat us like strangers. Travis: Well Tufts is private though isn’t it? Elaina: It is. Which means they could make any decision they want. You know they could, because they’re not taking I guess government funding or something state funding or something is that the only vet school in all of New England. Elaina: Yeah. Cornell’s up in Ithaca. But that’s not New England. And then the next home would probably be Penn where I went. How big was the vet school class? Travis: How many students were in your class at Penn? Elaina: I think we started with around 120 maybe you know I can’t remember exactly but I think maybe 122 sounds right. Travis: OK. How many did you finish with? Elaina: I know we lost like seven in the first month but they do sometimes like people who failed out the previous year or had an issue the previous year will then recycle in I think it was probably in the hundred maybe one hundred and ten something like that so not a big dropout rate but not huge. Elaina: No. No but I think that’s also because they sort of recycle the students and then why I don’t know if they count the Ross in Ireland students in that number when we graduate. I don’t think so. I’m not sure. How did you ultimately decide on which vet school to attend? Travis: Did you have a bunch of different vet schools to choose from. What was your decision process? What did that look like? Elaina: Yeah I did. I was lucky I had gotten accepted to Tufts, Iowa, and Western. I know I didn’t get accepted to Cornell. I don’t know that I would have wanted to go all the way up to Ithaca. I’ve heard it’s beautiful but there’s a lot of snow I guess for me. Penn was driving distance so that was nice. You know I didn’t have to get on a plane to California but basically, when I interviewed there I heard that the license is different. You know you get a VMD instead of a DVM and I remember thinking that was really cool to be different. And then they gave us a tour and there was this classroom called classroom A. And basically, it was the original classroom for the vet school when they only had a need for probably one classroom. And we sat in the seats. Elaina: You know they’re kind of stadium style wooden seats with very small desks and you know they told us they said every single person that’s graduated from Penn Vet has sat in these seats. And I remember thinking that I wanted to be part of that history and legacy I want to be one of those people that sat in these seats sort of ties everyone together. And yeah I think that’s when I decided you know if I get in here this is probably where I want to go. Travis: Now everyone else has a DVM and you have a well what does the name of degree again. VMD OK now does that mean anything different. Like is there a different set of rules or a different set of recognitions. Elaina: No it doesn’t mean anything as far as that goes where it’s equal to a DVM our degree is in Latin. And that’s why it’s VMD. but also Penn has a thought or a mission statement of You know one medicine and so whether you’re a human doctor dentist a veterinarian you know they believe it’s one medicine. And so I think they try to unify that with the degree being like a VM.D. Elaina: So you’re not M.D. V.M.D. They’re close versus a D.V.M. completely different makes sense. I think it’s about that one medicine type of thought which I think is good. I mean that’s how we should be thinking of things from a public health standpoint and diseases that transfer between animals to people. All of those things now. Travis: Did you think at all about the finances part of things when you were deciding on which school to go to? How did you how did they communicate that you would be able to pay for that school? Elaina: Well I bought a book that kind of summarized each school and basically for someone going out of state. The cost was similar across the board. If you’re an in-state resident it’s can be a lot less expensive to go to your in-state school. But that wasn’t an option for me. And so basically aside from going abroad the costs within the United States were similar. You know there really weren’t any schools that were much less. You know you’re looking at $46,000 or $48,000 a semester you’re not looking at I think four for some schools you’re in-state tuition could be like $18,000 instead of $48,000. Travus: Wow that’s a big difference. Elaina: It’s a huge difference. Yeah. Travis: The only thing that I would say would result in lower costs would be. So like in Iowa is obviously going to have a lot lower limit expenses than a Philadelphia would.You might have th e same tuition but then you’re living expenses budget in Philadelphia might be like $35,000 whereas in Iowa might be 20. Elaina: Yeah I think I used to borrow $23,000 a year for living expenses I think. Travis: So you were frugal then? Elaina: Think so. I think that’s what it was. Travis: I remember having some some fun like we would we went out to like you know Thai Thai restaurant you know even in vet school like I was like wow. But that’s that’s amazing that that’s all you borrowed and still lived in a big city like Philadelphia. That’s true yeah. Unreal for your vet school experience when you were taking out the debt. How many people were aware of approximately what they would leave with and student debt upon graduation in relative to their incomes. Elaina: I think that people were aware of how much they were borrowing. You knew 48X4 for I think what they didn’t realize or at least what I didn’t realize was that that interest was accruing on the first loan after the first semester and then would accrue for those four years. So I guess I had thought it would be like undergraduate where it was like the interest started after. Elaina: So that was a big difference. You know that it was growing while you were still in school. I think the other thing is and I think they need to open the lines of communication about this is that it can be really difficult to find out exactly what you’re gonna make when you get out of school. You know you look at things online and they give you like a national average and it’s sort of misleading from what you will actually make when you’re out of school especially depending on what part of the country you’re practicing in. And you know there’s a whole huge range I think in Vet medicine. How much money you can make depending on how you practice and what type of practice you’re in. Elaina: So I don’t think like even when I’ve tried to look up what different specialists in the field make. You can’t get an accurate number. So I think that people might not even know what they were going to make when they got out as sad as that is. I bet you a lot of veterinarians had no idea how much they were gonna make. Or maybe they had an idea but not a good idea. Travis: I wish the admissions office would bear that responsibility for saying you know here are our initial starting salaries like they do for MBA programs right. You know for MBA programs that’s one of the most important things they tell you at admissions. You know here it’s the average salaries of all of our graduates and all of these different fields it’s a little bit different. And you know certainly if you’re going to an MBA program you’re going because you want more money not necessarily because you want to get an education every time. Travis: But in that range of salaries like what would you say that your friend’s dad graduated from Penn are making right now range. Elaina: I would say if you were in small animal private practice for profit private practice in the northeast or like California you probably would start somewhere probably between $80,000 and $90,000 a year. I would also say people that came out of internships and then got themselves into really good you know you have to be at a good practice a busy practice one that practices high quality medicine. You know you can’t be at the corner vet that’s not working up any cases because I don’t think you’d make much money I know if you go in to emergency you can make more. But I think it would probably be the same because I remember when I was coming out of my internship in supposedly New Jersey is one of the best states to be a vegetarian. And they offered me. I think it was like $80,000 and my first initial base salary was $83,000 a year. Elaina: But I had the chance to make commission above that which I did. So I think it also depends on how you’re paid. I’ve talked to veterinarians that are still making in the 80s even though they’re like three years out of their internship and you know they just don’t get paid commission which is crazy to me if they should really look at how much they’re bringing into the practice. They work at. And make sure their salary makes sense because I would bet that some of these people deserve to be paid more than what they’re getting paid compared to what they’re bringing into a practice. Travis: In general you wanted to be a percentage of revenue that you’re bringing into the practice right. Absolutely yeah. If you’re like flat salary no relation to what you’re bringing in that you’re definitely going to get underpaid once you produce more and more. Elaina: Absolutely. Yeah. I think when I first got hired you know they were used to hiring people sort of new graduates that were really timid or maybe just not so experienced and they basically told me over the first year we’ll just put you on salary this way you don’t have to worry about making a commission you know on top of it we’ll just put you on salary till you build a quite well. And I came out of a very busy internship where I feel like I got a really good education. I said No I want you to put me on ProSal which is the base salary plus commission. And you know I made a lot more than my base salary that year but if I hadn’t done that I would have been stuck with that base just that salary. Travis: Yeah and for veterinarians salaries we’ve had probably like closing in on 300 veterinarians as clients now. So we’ve got a kind of cool. Travis: Yeah. We’ve got a cool like a set of data around incomes and different parts of the country and things like that. So we see probably like seventy thousand on the lower end for somebody that’s starting out without an internship is just going to some corporate type practice like straight out and about school and all the way up to an experienced veterinarian who’s really confident and presenting treatment plans and has a good acceptance of those treatment plans. You know couple of few years and might be making up to a $120,000 that’s as you know an associate and then specialists. I’ve seen some veterinary surgeons diff different specialties making their own $200,000 in some cases especially for people that are more involved in an industry or race horses or something like that. Travis: The interesting thing to me is that so many veterinarians choose to not own their own practices and they work for these big hospital groups or the corporate practice. And we’re really seeing this huge trend and veterinary medicine where Mars this giant private company is basically buying every big corporate chain they can and this kind of like dominating the profession. So maybe you could give us your thoughts a little bit about how corporate medicine is kind of like taking over the veterinary world. Elaina: Yeah. So there’s faith there’s a couple sides to it. You know you have the big companies like VCA, Banfield, and BluePearl that are now all owned by Mars and then you have some other smaller corporations that I’m not even sure if I know their names but it seems that most hospitals that are grossing like a million or more you know are getting bought by these corporations. And I think that a lot of it started because the past generations own practices. And then when it’s time for them to retire the veterinarians that are coming out of school have this lkie $200,000 debt on their shoulders and don’t necessarily want to take on the risk in the debt of a visionary practice. Elaina: You know they can’t really afford to buy what these practices are worth. And if they can it’s going to be you know over time and these corporations can come in. Give these people exactly if not more than their practice is worth. You know they can give them a really good offer and they can just pay them. You know you have your money now. You have to work for two more years. But it’s a nice retirement strategy for these owners and from their perspective I can understand. You know you invested 50 years into a practice you’re ready to retire and no one can give you what it’s worth and you’re probably counting on that. And so if there aren’t many options I think that’s what started a lot of this consolidation where voluntary practices were grouping together and forming small corporations and then those get bought up. I don’t personally like that the profession is going corporate because I think it takes the individual decisions and the autonomy out of things. I think that small business a lot of times can give people a more personalized feel especially when people are coming with their pets. Elaina: They want to feel like their veterinarian knows them and they’re making decisions for their pet in the best way. But areas are historically not very good business people so I know when these corporations come in they definitely can optimize our production. Definitely I think when they get involved all of a sudden these practices that weren’t making or we were making a certain amount or all of a sudden making a lot more. And so that side of it is good. Our hospital is now part of a corporation where technically owned by Mars but it started with a group of veterinarians rolling up their practices and then forming a corporation and then eventually being bought by BCA and then eventually being bought by Mars. Elaina: From my standpoint I personally have better benefits better 401K package more equipment. We have way more high end equipment now and you know I’m getting to further my education with certain things and that probably wouldn’t have been affordable if it was just owned privately by one or two people. Elaina: So right. Right now I think that those are some benefits but I think long term for the industry I’m not sure it’s the best thing and I’ve always wanted to own my own practice. So my options I guess are less but I just kind of have to find a practice that’s not grossing a million and then try to be competitive at buying that. Travis: Yeah. Let’s talk about this a little bit. I want to debate you a little bit Elaina about the student debt. That’s definitely not the first time that I’ve heard veterinarians talk about that. Veterinarians are like I have all the student debt and I want to buy a house and you want me to take on like another kind of debt that’s like six figures like what am I even doing and practice debt is different from student debt because practice debt say you make what’s a typical percentage an associate gets in commisson conversations a percentage of revenue like 30%. Elaina: Now it’s like 20%. The highest I’ve ever heard is 22%. Travis: And the dentistry world that’s like 33%. Yeah. So you guys you to fight back more like the corporatization of veterinarian medicine right. Yeah but so say OK. So I’d say it’s 20% or whatever. So if you buy your practice you might have compensation that’s 40% perhaps of your of your revenue. Now say like 10 to 15% of that would go towards paying off your practice loan. Right. Because you bought a lot of big practice. You have to pay say three or four thousand or five thousand a month on the practice alone. And so that’s a big expense but you’re also going to be drastically increasing your income so you might only be modestly increasing your take home pay but you’re paying down this veterinarian practice usually over like a 10 year kind of timeframe is as common. Travis: At the end of that 10 year timeframe you now have an asset that’s worth you know hundreds of thousands of dollars or maybe even more than that if he’s growing it. And then you also have a higher percentage of revenue that is yours to keep as long as you practice. Mm hmm. One thing that I’ve seen blocking veterinarians from doing this is this idea that I have a lot of debt I can’t afford to buy a practice because of this debt well actually like not buying the practice is worse. Yeah. So like you’re 401K. You could set up a 401K through your own private practice and run it basically yourself or you could just call a big company and set one up and it would be good and you could set up your own health plan. Travis: You could set up a lot of different things and also you could take all the deductions. So when you’re an employer or when you’re an employee making $120,000 a year the only deduction that is really a solid deduction that you can take is your 401K contribution. Right. And if you have a bunch of student loan debt that’s the only thing that you can use to really reduce your income. But as a practice owner you can deduct a bazillion things everything’s deductible and so your income and a lot of cases can be similar. And your taxes that you’re paying can be similar to what you’re paying as associate but your wealth growth could be like twice as much. Travis: So let me paint a picture here and tell me how many veterinarians you think this describes. So what what I heard from bankers we have some bankers that are affiliated with the big vote bank and some other places and they say that a lot of veterinarian’s can’t get conventional financing for the practice that they want to buy. And so they have to buy a practice. What does a small business administration alone and they have to be able to put 10% own if veterinary and practices like $500,000 how many veterinarians do you know that have $50,000 that you use towards a down payment on a veterinary practice. Elaina: You know that would require me knowing a lot about their personal finances but I know I would be able to do it and I’m pretty confident my best friend that’s a veterinarian here in New Jersey could do it. And I’m thinking if we can deal with that most people most probably could do it. Travis: I think yeah I think both could. Like if you targeted a below a million dollar practice to stay away from the corporate bidding war and then you went in with yourself for like your best friend or somebody like that to buy a practice you would as long as the practice is of a certain size where it’s not $100,000 practice then you would almost certainly make as much as you were making in the corporate world. Travis: Right. But what do you think more veterinarians don’t think this way and don’t do that? Elaina: I think they’re probably scared of the risk. I think they potentially don’t want to work that hard. You know I think that maybe they are comfortable working four days a week and don’t want to take that on as a business owner. Elaina: I know right now it’s difficult to find veterinarians and even more difficult to find technicians. And you know I was thinking about that and I’m like you know how do you secure a workforce for your practice in a time where nobody can. Elaina: And these corporations usually can pay not all the time but can afford to pay more. And so technicians are constantly moving because they move for the higher salaries. So I think it’s more they probably don’t want the headaches of ownership. Travis: Yeah well there’s headaches of being an associate too that you don’t even realize right now. Right. So like you won’t realize that you have a net worth it’s a third of what it could be with a little bit of extra work over 10 years. Right. You won’t realize that until many years down the line. I don’t know. So I think that I’m just kind of biased in favor of veterinarians owning their own practices. Elaina: So I think sometimes what holds us back is or at least what holds me back is that you know how do I find a practice that I want to buy and then do I have the skills to be able to evaluate it properly. You don’t want to end up paying someone more for something and you know I feel like a lot of it maybe older veterinarian see a young visionary and coming in and you know I might not have the experience to evaluate it properly make sure you’re not overpaying for something. Travis: So that’s something that you could handle the similar way that you handled your vet school loans by getting a student loan plan for me. So you know I’m I’m not a CPA but if I was a veterinarian and I wanted to buy a practice and make sure I wasn’t overpaying for one I would probably talk to my state organization and ask you know what CPA is do you know that I’ve contacted the organization that are local to the state that know veterinary medicine and I would reach out to one and I would say like you know have you done more than 10 valuations for veterinary practices. Travis: If the answer is yes you know like you know you’re not you might not find somebody who’s a specialist in veterinary medicine that’s probably pretty rare right. I’m guessing but you might find somebody who like that has done a dozen or a couple dozen practice evaluations and then so I would hire that person to do evaluation of the business for me from probably less than $5,000 right. I would think so then you know you could spend that money with peace of mind just kind of knowing that you’re taking all the right amount. And also you know a practice lender is not going to want to give you 40% more than the practice is. Elaina: Yeah. It’s like when you buy a house they’re not going to loan you more actually than it’s worth. Travis: Yeah it’s a little though did they do an appraisal which which does not mean that the thing might not fall in value but it just means that you know the bank. What’s cool about buying a practice instead of buying a house is like buying the house depends upon you keeping a job and making an income whereas the practice depends upon you continuing the practice and and just maintaining the income that already exists. Elaina: Right and your goal would be to increase it over time. Travis: Yeah for buying a practice like where would you like say you had to look like. Where would start? Where would be a place to start a practice? Elaina: I would look here where I am in northern New Jersey. Travis: Which is probably a pretty competitive area right? Elaina: Yeah. I mean I think it’s well there’s a lot of them and I know sometimes where I’ve gone to networking events there are people that want to sell you know and there are people that would prefer not to sell corporate. So I think I would just need to bite the bullet and go start looking. Travis: Yeah I think honestly I would just offer to take someone out to dinner. You know you find like 60 65 year old veterinarian doctor who’s trying to retire and just say Hey can I have an hour of your time and your you know take you out to lunch or take you out to dinner and just learn more about your practice and you can learn more about me and I just want to learn more about what the opportunity is and you would probably go to a few of those meetings and you would probably have a couple opportunities to buy practice and then I would play the emotional card of hey you know when you’re in your 80s long retired from veterinary medicine do you want the VCA brand to be on everything that your practice does. Travis: Right. And do you want. The way your practices takes care of patients to be radically different. Or do you want to know that it’s still a local neighborhood mom and pop style but every practice that is practicing with your legacy in mind you know I mean I think that that’s the way that you get you’re able to pay less money for a better and practice and have somebody actually accept that offer. Elaina: Yeah I think if especially if the hospital is close to that mark or there might be some practices that are growing that or are above that but still don’t want to sell corporate. Elaina: I just know that I would have the 10% for a million dollar practice but the other thought I had was trying to get a small group of young veterinarians in the area like ones that I know not complete strangers or anything but maybe like three and then going in together you know because I feel like it would secure my invested veterinary workforce. You know you’d have hopefully three or four young veterinarians that want to work hard and that because they’d be owners would be invested down I mean that would be a great thing to do now. Travis: The other option is you can buy a solo practice and then you could buy someone else’s smaller practice and roll it up into yours right and then bring people on over time too as partners. But the most important thing is to take that risk and keep in mind that if you buy a veterinary practice the real risk is probably for the first three years where you’re paying down enough of the equity where you could sell it because if you have a 10% down payment then you have a couple of years of paying down the practice loan. If things were just terrible as long as you didn’t completely collapse a practice and you forgot how to do veterinary medicine like you could still sell the practice and move on. So it’s not like you’re committing for like 10 15 years to the practice what you buy it right. Travis: I think a lot of people just really don’t realize that the cost is a lot lower than people think and the opportunities are way higher. 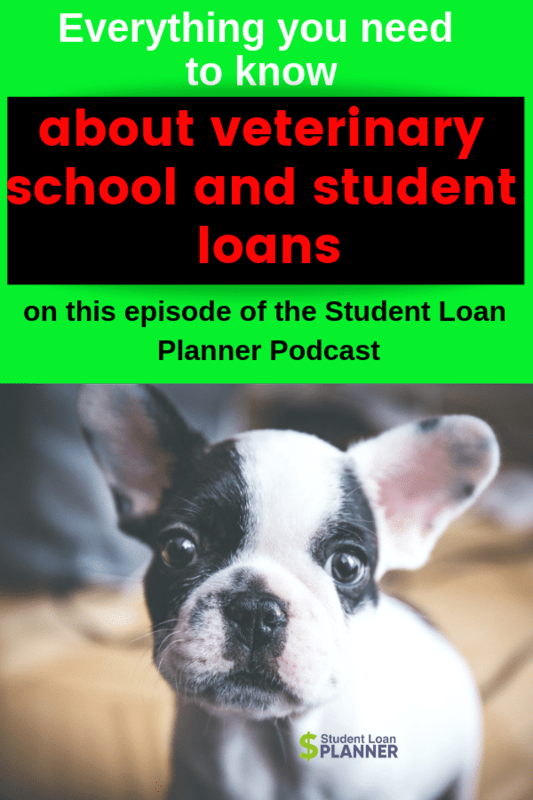 Let’s switch gears a little bit and talk about just personal finance more broadly in the veterinarian world. What was your first experience with your retirement account? What were some of the questions that you asked me about it? Elaina: I was a mess. So I guess I knew that you should sign up for a 401K and I think that’s sort of what I knew. And so you know when I got my job and after I don’t know how many months you have to work there to be eligible I did sign up for it but it didn’t have a match. And you had to like pick where you wanted your money to go. They basically said you should do this thing where we manage your money. We put it into different areas and and we move it around or whatever. So that’s what I signed up for but obviously they charge for that fee. Elaina: So I contacted you and I said you know I have no idea this is what I’m signing up for. What do I do? You looked at it and we’re like that’s crazy. They’re charging you a lot to pretty much do nothing. And you told me to put it in. I think it was a target fund and it was already very diversified and yeah I didn’t really know much about that and most of the variance that had a 401K and a lot of them weren’t contributing to a for one case with the ones who were were paying for that fee to have it managed. And there was no match. And I remember when you looked at the program you said it was it was horrible and that I should ask to see if they could change it in a different company. Travis: Yeah. Yeah yeah. And just like Disney regulators will listening you know I did this for free because I’m not supposed to charge for investment advice. If I don’t pay for all the licenses. Travis: But yes like a lot of veterinarians are paying way too much on there for 401K plans. Basically, if you have a 401K you want to probably look for index funds for it. Usually they’ll have like a target date fund that you can put your money into and generally that’s gonna be the best thing. Just put all of your money into that one fund. Right. And if all you do is put all the money in that one fund you know you’ll do pretty well. You won’t do as best as you possibly can but you’ll drive yourself crazy trying to do the best you can. Travis: When many of these management services that offer to invest your money for you are really just designed to make passive income for the companies that do it. It’s not really something that’s that useful. Travis: I think in many cases the cool thing about putting so much in retirement is you know you probably have a mid five-figure sum and retirement by this point that you probably would not have had if you hadn’t had that conversation right. Elaina: Yeah definitely. I mean we do have a different company now and we are matched which is a plus of the corporate side. But the downside I think I told you this that they limit how much the highly compensated employees can contribute. So we can’t put the full IRS limit in there which I think is sad and not fair. Travis: But yeah and that’s really kind of silly. I think that a lot of employers do that just to kind of make the regulatory burdens easier on themselves instead of helping out the employees. So with your retirement planner you’re doing anything else for your finances right now. Keep putting money into savings a brokerage account. What are you doing for the tax bomb? Elaina: So I have my 401K I have my IRA. And I do have a brokerage account the IRA and the brokerage account are through Vanguard. Travis: OK cool. How much are you saving a month in the Vanguard account? Elaina: So basically what I do is I get paid bi-weekly and I think I have maybe like. Elaina: You know once I reached the limit on my for 401K I bumped the amount that was going into my savings. So I think initially it was like $320 bi-weekly so like $640 that was going into savings every month. But then once that my money wasn’t going into my for one case as I reached my limit I up to that so it automatically go into my savings. And then when I get my sort of monthly it’s like every two months or so we get our commission. Then I take the money out of my savings and I distribute it between my savings account and my brokerage account. Travis: That’s so exciting. So you’re like even though you had and how much vet school debt did you leave vet school with? I Never asked that I don’t think. Elaina: I think it was right around $200,000. Elaina: I mean it’s grown exponentially sentence but I think yeah the amount I borrowed was around $200,000. Travis: That’s amazing that you’re building towards financial security despite having such a huge amount of student loan debt. Travis: I don’t want to take too much credit. You actually have to me you have to make the decisions. Yeah. You know like you can hear that you should do X Y and Z, but you actually have to do that right. You know it’s like oh like eat healthy and you know exercise and it’s like you know oh well you actually have to do those things right. Right. But so. So for your future like what would your ideal like financial life look like one day? Elaina: My ideal financial life would be to own my own comfortable house and hopefully own it right act like straight out you know not to have a mortgage on it not have any more student loan debt and own a very profitable practice that I was happy working at. That would be lovely. Travis: I think that’s pretty attainable. What are some tips that you have for new grads that are thinking about you know buying a car or buying a house? What are some things that you’ve learned from that experience that you’d want to share with folks? Elaina: Don’t buy a new car that I think is my family’s but in the car business forever. And I think buying a brand new car is one of the worst investments you can make. I don’t know if you disagree with me on that Travis but I don’t think that’s a good idea. I think if you buy a used car you get a better deal on it. And if you trust who you’re buying it from which you say have bought it from my family. So I’m partial but I have a thousand four Lexus SUV that I bought for probably ten thousand or nine thousand and it’s great. You know I love that car. It’s super dependable. Elaina: I’ve had virtually no issues with and I paid it off in like two years. So to me that’s probably what you should be doing. I think people get nervous about cars. Again it’s that unknown. You know the fear of the unknown. So they buy a new car because they think that that’s the safest bet. Nothing’s gonna go wrong nothing’s going to happen to it. Whatever. But I would say buy something. Use that you can pay off either buy straight outright or pay off in a year or two. You know you don’t want to carry a car payment. I think that’s not ideal. And then if you want to buy a house I forget what you told me about it. Elaina: You don’t want it to be worth more than two times your annual income. Travis: Your joint income right? Elaina: You don’t want it to be more than what your yearly was it one year or two years. You gave me a rule. Travis: Yeah. My rule of thumb and this is just like a random rule. But it’s just like if you can buy a house for two times your joint income or less right then you will have financial abundance in your life. Right. If you buy a house for more than that then you will probably feel stressed by your mortgage. Right. Because there are some things that can go wrong when you buy a house. Right. Elaina: Oh yeah. Things go wrong. Definitely. I mean see that seems to be a constant. A lot of my friends everyone’s you know it seems to be that the time of getting married having babies buying houses and something is going to go wrong. There’s no way you’re going to buy a house and within the first two years, something major is going to happen. And so we did adhere to your rule. Elaina: We bought for less than our combined incomes. Times two. And you know we do have an issue with this stucco of the condo. Elaina: We’re in a condo but there is an issue with the stucco. So the entire association has to contribute to replacing it. And I remember I was panicked and I called you and we talked it out and you know I think that we’re gonna be fine. You know I think this is two to three years down the road. I’ve seen some of the units they’re working on and it looks beautiful and I think we bought low because of this issue here and that once this project is done I think our value is going to go up. I tend to be a bit more positive. I think we’re going to break even or make more on it when we sell it in the future after this project. My significant other you know he’s a little bit more pessimistic. Elaina: He’s constantly talking about we have this gray cloud over our head but I really think that you know these units were we’re going for a lot more when they were first built and they weren’t built that long ago. I think once this project’s done the value is going to increase. And you know we’re also both of us save well and I think that we’ll be able to handle that project when it happens and we’re smart and resourceful I think. I don’t think it’ll be the end of us if they will. Travis: Yeah and the nice thing is because you were smart about the purchase price you’re not stuck with this thing that’s like an anvil that you cannot afford. Travis: Yeah yeah like because the whole condo association is not going to let the condo values go to zero. Right. So you know it’ll be say it’s worth less than what you paid for it in like five years and you know you’re ready to move and you sell it for a loss. Well, that’s not the end of the world as long as you’re. You owe less than what you’re selling it for. Exactly. You pay down the mortgage a little bit. You can do that. You’re flexible when you have a modest mortgage relative to your income. And you’re do you buy that based on that rule initially that hopefully, your incomes will increase over time too which is going to put you in a better position. Elaina: Yeah, and the other piece of advice I would tell everyone who wants to buy a house or a condo or whatever is that the banks are going to offer to lend you a lot more than you should spend. Elaina: You know we had friends that were looking at a house and you know I roughly know what they make and they said Oh they said that we could borrow $500,000. There’s no way that they should buy a house. I mean they didn’t buy a house for that but there’s no way that that would have been workable. I don’t know where they come up with these numbers. You know they told us they said How much do you want to borrow. And I said no more than $350,000. And they were like oh you could definitely go well above at least $500,000 and I was like now we can’t afford a $500,000 house. But they would have been more than happy to give us that. And so I think that when you go to get pre-approved that does not mean that’s what you should. That you can afford. Don’t count on the bank for figuring out what you can afford. It’s too high. I think it’s way too high. Crunch the numbers. Travis: I’ll tell you why they do it. It’s because most real estate professionals get paid on a percentage of whatever you borrow and buy the house for. Right. If I can have a short conversation and sell you on the idea of real estate as an investment and it’s you know the future home of your family where your kids are going to grow up and if I can tie it to the emotional aspects of buying a house. Right. And makes you kind of detach a little bit from the fact that you’re spending a massive amount of money for this sack of drywall and you know I would yeah you know then I can kind of encourage you to spend way more than you might otherwise done and then for the same amount of work and makes 50% more. Travis: Right. So it’s not necessarily just say that real estate people are inherently dishonest or anything else just like you know you tend to believe in whatever gets you paid. Right because otherwise if you don’t believe in it then you would just like move on to a different industry right. Over time. So like the only people who survive in the industry the people who really believe in what they’re appreciating. Oh yeah. So you kind of have this big bias in everything. So thanks for sharing that along. Yeah, it’s great. What are some other kind of common pitfalls or maybe you like some things that your friends have made mistakes w some that you would want to tell a young veterinarian to kind of watch out for? Elaina: I still hear about veterinarians that aren’t contributing to retirement accounts. It drives me nuts. I’m literally you’d be so proud of me with all my coworkers’ veterinarians, technicians. I literally sit down on the Prudential website which is what we get offered any sort of force them to sign up for one case. I’m so proud of you. I tell them it doesn’t matter how much you make you have to put something away you know and I can’t believe that they were vegetarians out there that aren’t contributing. Especially we get matched like so to me that’s just crazy that you wouldn’t take advantage of it. Elaina: They’re like oh I’m an IBR and like you shouldn’t be an IBR. You need to talk to my friend. I think those are you know I feel like there. I had one friend there and that I was working with. That was basically trying to pay down her loans and one of the standard plans and she was living at home. She had no money. She can’t live like that. She literally couldn’t make it work and she wasn’t saving at all. And that was one of the things I learned from you that basically if you can aggressively pay it off in 10 years do it. But if you can’t do that don’t try to pay it off aggressively in 20 years and save nothing for your future. And that makes a lot of sense. And so I feel like I’ve educated a lot of people around me with that and now she’s in probably the repay me and happier she is she bought a house. She is a baby. I mean she. Your life is going to go forward and you know your student loans can’t hold you back. Elaina: Or they shouldn’t hold you back. I would also say don’t get depressed about it. Initially, I used to get very depressed. It seems like a bleak outlook. And then I would talk to you and I would feel better but don’t get depressed about it I think that it’s very easy to get overwhelmed by it but just avoiding it’s not going to make it go away. You know so just avoiding it and not learning anything about it and trying to come up with the best plan you know for me what gave me comfort was knowing that I had a professional giving me guidance but that we came up with a plan and I had comfort in that and I think that a lot of people avoid their problems and like OK fine I’m on this repayment plan I’m just gonna pay this and I’m going to ignore it and that’s not a good strategy. Travis: That’s excellent advice. One more big question for you Elaina. What do you expect will be the future of the veterinary profession? With ever higher student loan debt. More and more graduates more and more corporate. Where do you think the profession is going if you had to say like 5, 10, or 20 years. What is it going to look like? Elaina: Well it’s growing. That’s one thing I’ll say is that the need for veterinarians is going to go up is going up and people are spending more and more on their pets. Elaina: I think what’s gonna be a problem is that you’re not going to have enough in areas and enough technicians because the field isn’t paying them well enough in general. So I think either the corporations are going to have to start adjusting how they compensate these bean areas. You know I think there’s a reason Mars is buying up all these practices and I think it’s because it’s been proven that the veterinary medicine is a profitable good investment to be in and that even when the economy goes lower. People still find a way to take care of their pets. So while some of us view it as a luxury people you know a lot of our clients it’s a necessity to take care of their animal. So it’s not recession proof but I would say it’s somewhat resilient. Elaina: People will still even if they have to do less they’ll still come in and take care of their babies because they view them as members of the family. So I think the outlook overall for the growth is good. I just worry about the corporate side and I hope that some younger veterinarians group together and start kind of taking back control of the industry. Travis: I’d like to see that. Yeah but we’re going to have to start with people like you and talk to your friends. Right. Be like hey let’s let’s go start a little mini empire. Exactly so. Yeah, that’s like that’s the only way you could do it. Yeah. And there’s nothing wrong with you know working for corporate for a long time and being a loyal employee and saving a lot for retirement and doing that. That’s great. And then you know if you go often start your own practice like there’s room for both kinds of practices. Travis: Yeah I think the people want like if you think about Budweiser and craft beer there’s room for both. People want that and in the country, they’re going to get the same experience it’s gonna be a certain level of quality that’s great but then also people want that like personalized individual like oh that’s Doctor lineups practice. You know they want that too. So I don’t think of the corporate groups should be threatened by this kind of a message. You know I mean I think that they’re going to do just fine. Elaina: Oh yeah I guess it happens in the future I don’t think they own too much to not be fine. Travis: Yeah. And that’s you know that’s somewhat concerning for consumers because I think that at some point I’ll just check the prices up when they have a monopoly. That’s what any big company does. Well absolutely. Pricing strategy. Elaina: And they’re going to keep giving veterinarians 20%. Elaina: Why are we getting 20 makes no sense? Travis: Well I mean I think the simple answer is because you know to be kind of Frank veterinarians don’t care as much about money right. And if you don’t care as much about money. People that do care about the money will take care of that for you. Elaina: Yeah exactly. Yeah. They don’t. They take advantage of the fact that veterinarians one avoid the financial because they’re not good at it and to the reason, they became variance is because they love animals and they tend to be emotional type A people they want to please other people. And so they’re not usually confrontational they tend to be introverted. Yeah. So they just want to take care of the animals and they definitely made a conscious decision to make less money even though they could probably have made more doing something else that I knew that I probably could have made more money doing something else but I wanted to do this. Elaina: You know my passion was in this. I just don’t think I quite understood how the loan situation was going to work and what that was going to actually mean for me in the future. Travis: Yeah no. It’s such great points and are people getting help for the mental health concerns and the profession. Is that something that you’re seeing people are being more open about some of the things. Elaina: Definitely. I think the conversation is open. I went to their conference a few months ago and basically, it was the whole theme of it with wellness and talking about how to increase your personal wellness and talk therapy and meditation and setting boundaries. It was like a lot of education on just increasing your wellness. Elaina: And I think that’s good that you know there is a push for that because it’s definitely necessary. The other thing I want to mention is that we have a lot of technicians that want to be veterinarians and some that have been accepted into vet school and I sit them all down and I explain exactly what’s going to happen with loans and just make sure that they’re completely aware so that they can’t say that before they started no one sat down and explained exactly what was going to happen. I’m brutally honest I’m surprised they still want to go in to it after I’ve told them exactly what’s going to happen. But they do. But I think that conversation needs to happen when I was going to vet school. My mentors you know went to vet school when it cost them three grand a year to go. Elaina: So they couldn’t warn me of this. And so I feel obligated to sit these people down and you know a lot of people wouldn’t want to be vulnerable and explain their situation because maybe they’d feel embarrassed by it or whatever. But I feel like they should know and they should have numbers and understand what that means not just say Oh hey you’re going to have a lot of student loans because in someone’s mind that might be $50,000. That might be $200,000. Elaina: You don’t know what somebody is going to interpret a lot as. And so I tell them this is what I left school with and this is how much it’s grown since. Travis: Yeah that number no matter how big it is you can figure it out. There are always ways to figure out exactly what to do. So be hopeful be excited if you’re in that school you’re gonna be OK. He had already better knowing you’re right. You know you’re going to be fine. Any last parting thoughts for our audience today Elaina? Elaina: Educate yourself. If you have a plan you know you can get through it. I think when you ignore it and don’t strategize that’s when you may run into issues. Travis: Fantastic. Well, thank you so much for being on the show and have a wonderful day Eliana. Elaina: Thanks, Travis. You too. Travis: Thanks for listening to today’s show. Regardless of how much student debt you have. Travis: Please reach out to us if you have any thoughts about the podcast podcast@studentloanplanner.com if you’re interested in getting a plan for your specific situation you don’t have to be stressed out about your finances. Go studentloanplanner.com/help. We love for you to get a plan that’s going to make you in charge of your financial future. So thanks so much if you really liked the show please don’t forget to leave us your review and items in any other place you might listen to podcasts. And this is gonna be a lot more fun if you just reach out to us and let us know what you want to hear about. So reach out podcast @studentloanplanner.com tell us what episodes that you want to hear. Thanks for listening.